I’m excited to share that Blogger’s Quilt Festival is here again!! Thanks to Amy for all her hard work and the generous sponsors for all the fun giveaways and prizes! Let’s get to it, shall we? 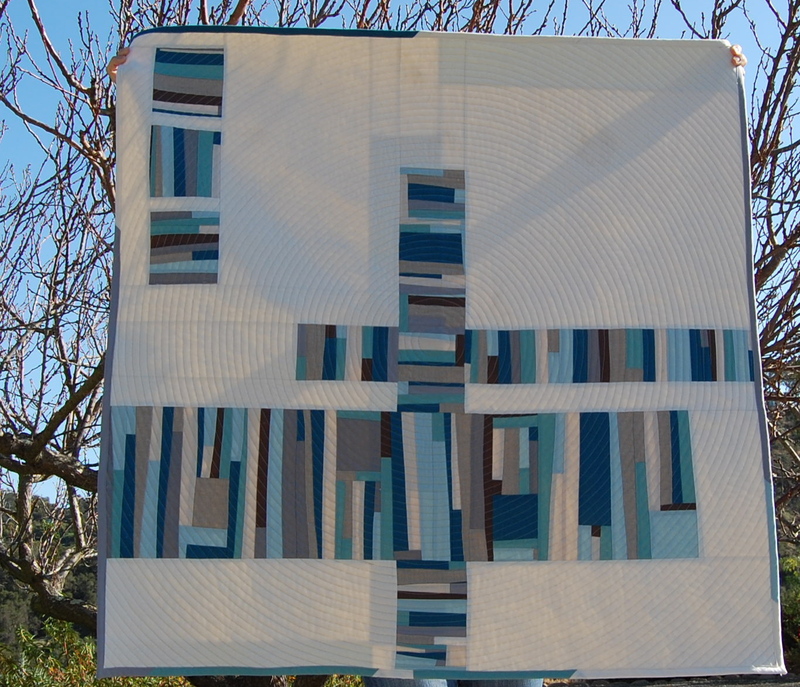 Here is my quilt called No Simple Highway(named after some song lyrics I love). Some of you may have seen this back in January when I first completed it. It’s one of my favorites though so I figured it deserved another go around! This quilt started with my love of solids and improv design, and is inspired by my BQF quilt entry from last Fall. 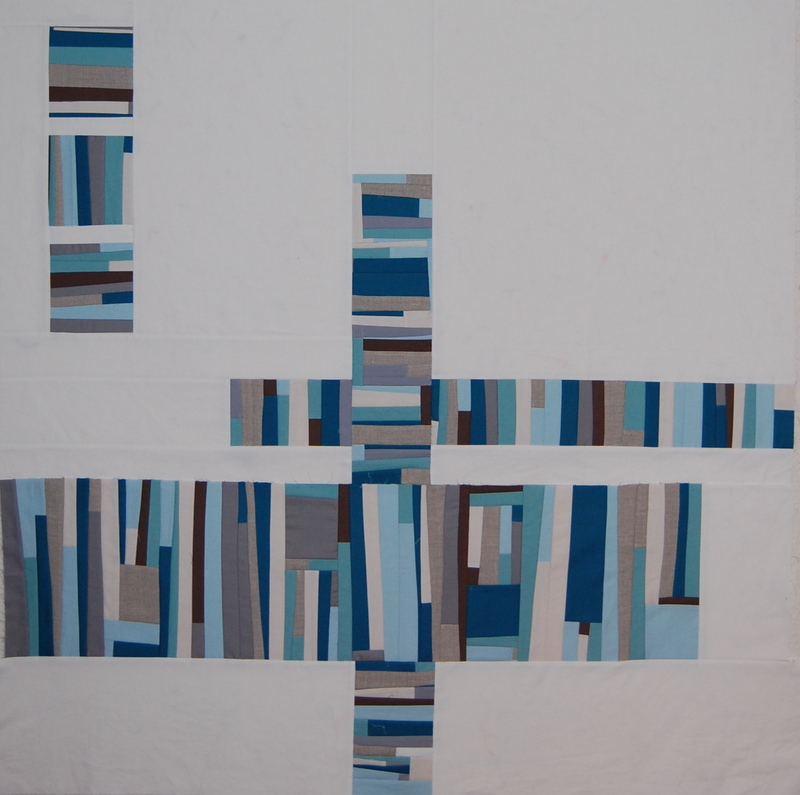 I began by somewhat randomly piecing together some of my favorite shades of Kona blues along with some leftover linen scraps I had from this quilt, and some more neutral Konas as well. 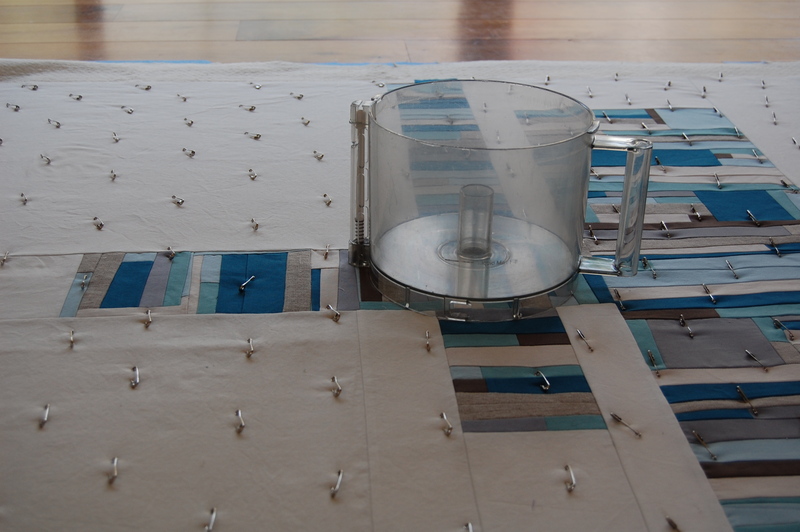 with concentric circle quilting lines. Having never done that before, I wasn’t exactly sure how to start. I decided to try a couple of ways to ensure I had the right starting point. After measuring to the center, I used the bowl of my food processor to line up with the center point and then I traced around the outside edge of the bowl. I then used that line and my walking foot measurement, to go inward until the circle became too small to manage with my walking foot. I’ll do this again on other quilts and will likely use my FMQ foot to get a bit of a smoother line for those smaller center circles. From there I went back to my original line and started going outward with the circles, using my walking foot as a guide to create even spaces(I think about 1/2 inch) between the lines. I love the way these lines look when finished. They were quite tedious and time consuming but definitely worth the effort, in my opinion! 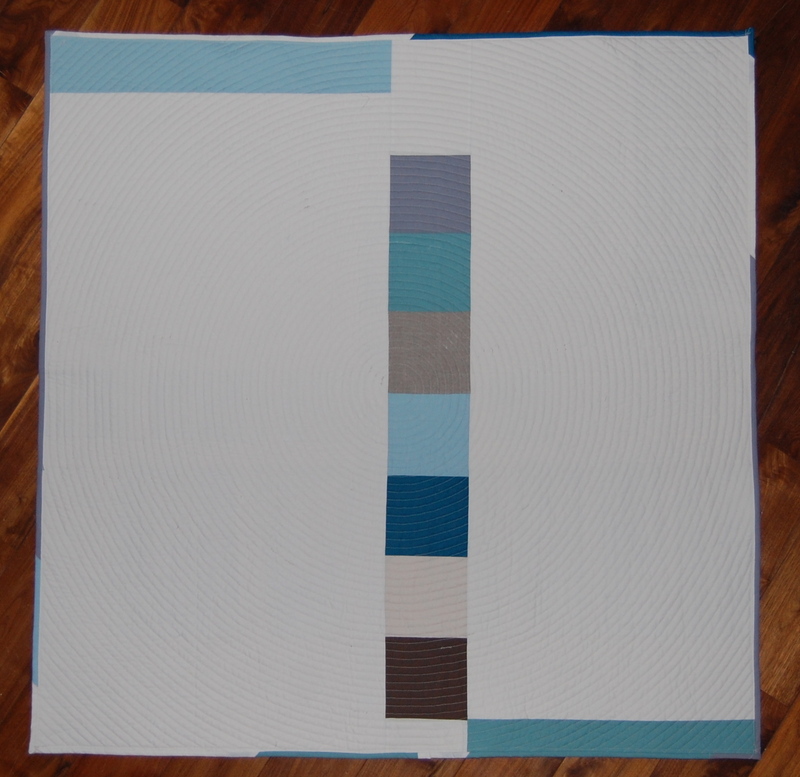 I created a “color swatch” look on the back of the quilt using 4 inch squares in each of the colors. My original intent was to have this quilt hanging above my bed, but my amazing and sweet mother in law loved it so much, I decided it needed to be hers. I can always create another one, in fact, seeing these photos makes me want to get started right now!! As if I need another project-ha! Enjoy the rest of your tour through the Festival! So much great inspiration there!! 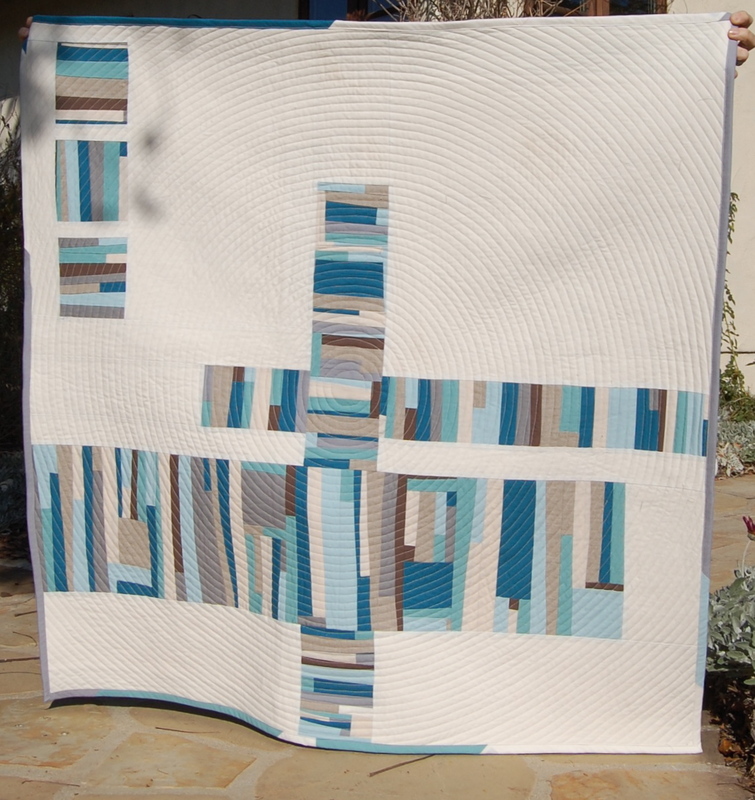 Karen, It is a truly amazing quilt, I just love the food processor idea 🙂 Love love the quilting and the color swatches on the back! So completely perfect and fabulous! I love it! Oh my goodness ~ what a lovely quilt. And that your MIL liked it is even better! 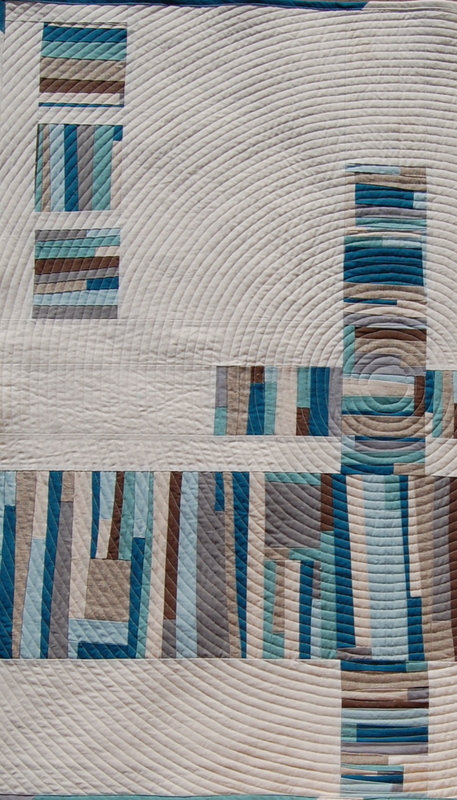 Love the squareness of the quilt and your use of circles. Just wonderful! it’s amazing. i absolutely love it! from the small bits of color to the quilting! Really really nice! I had aspirations of doing concentric circles two weeks ago but couldn’t get it going with fmq, so I ended up doing a radiating quarter circle. I will try it your way next time – and soon – it looks amazing! 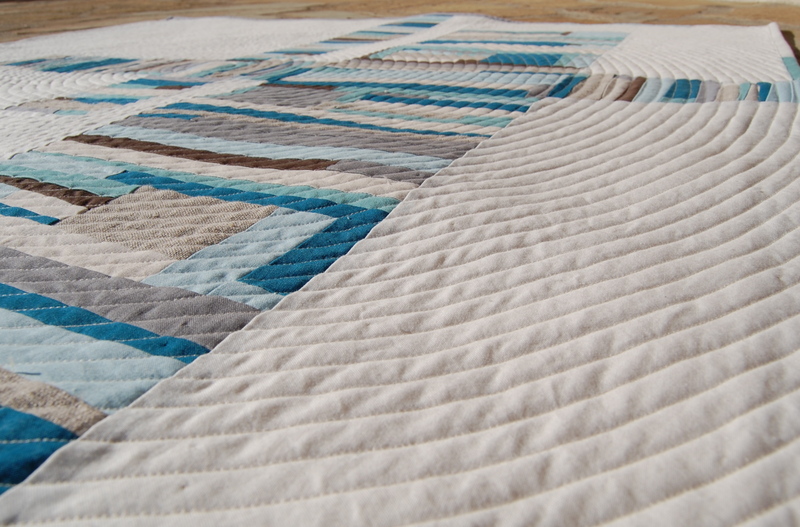 I just love quilting in a circle. Your quilt is absolutely a winner. wow! that is so beautiful, and the quilting is perfect with the geometric design. Love it! Love it – and the story of all the ‘help’ you received – in fact are you sure you did any of it??? 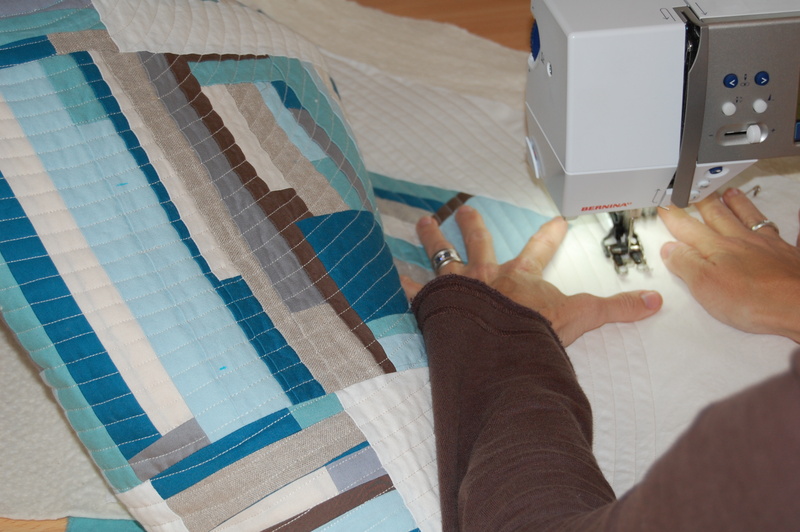 Not sure which I love more, the piecing or the quilting. So great! This is a fantastic modern quilt. 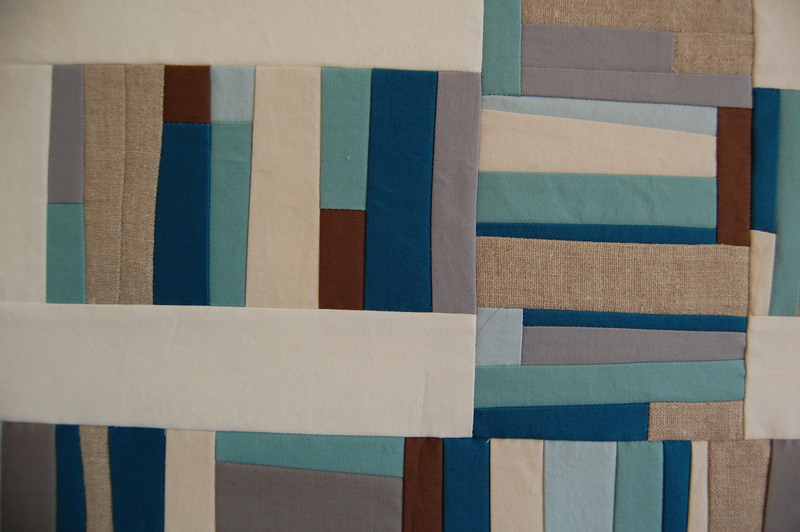 Great improv and great quilting. love the quilt and quilting! it’s beautiful. love those lyrics too, great song, and your quilting mimics ripples 😉 it’s all perfect!! !